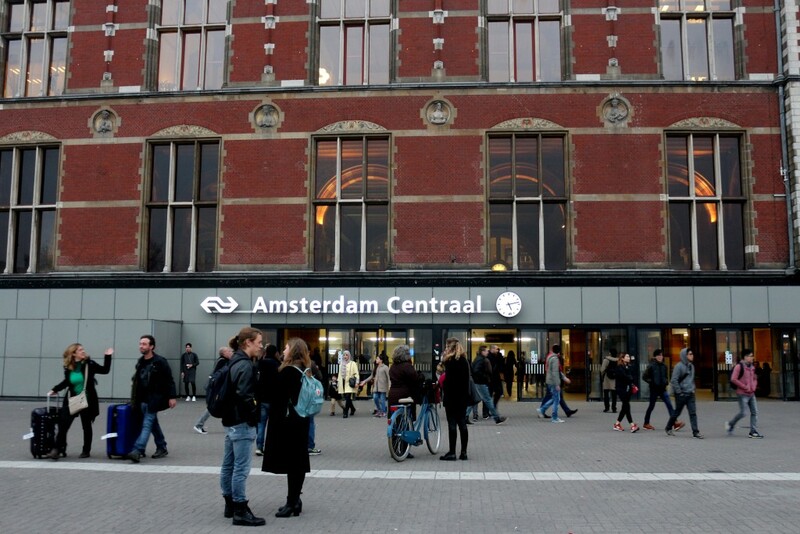 There are lots of great places to get a bite to eat or something to drink at Central Station in Amsterdam! Here are our tips for the best choices. 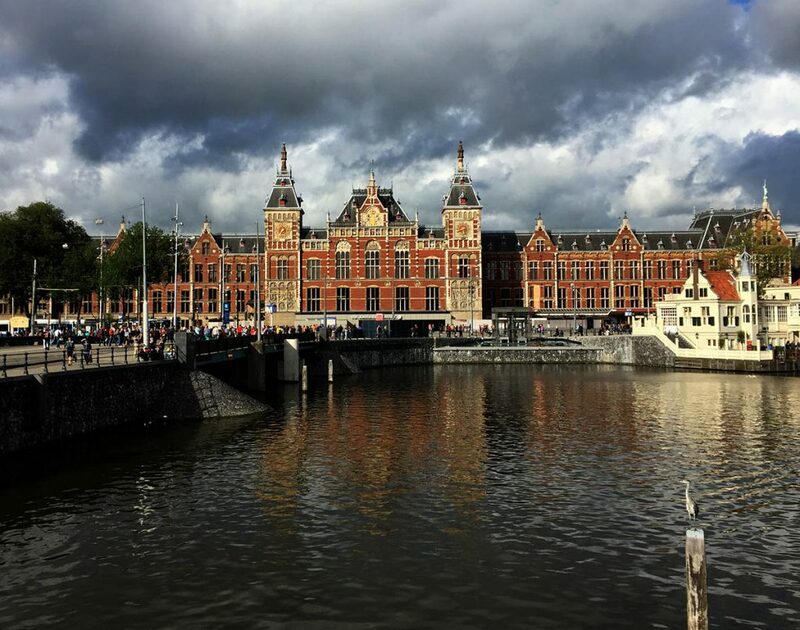 The beautiful Amsterdam Centraal building was constructed in the late 1800s and designed by architect PJH Cuypers, who also designed the Rijksmuseum. Central Station has recently been remodeled and there are even more places to grab a bite to eat. Rushing off to Rotterdam without breakfast in your stomach or getting hungry waiting for the train to Paris? 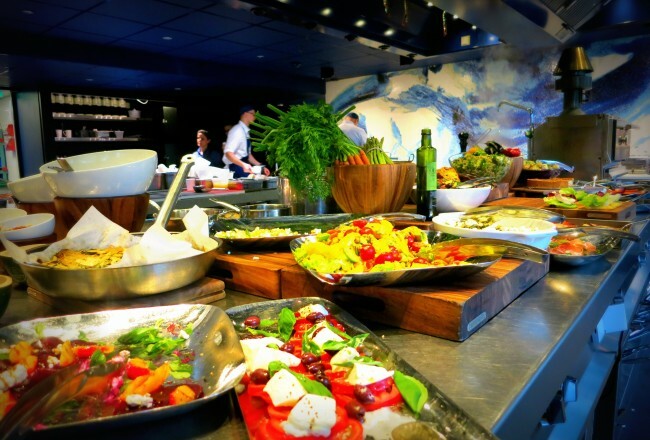 Following are our tips for places to grab food at the station. Have a little more time? 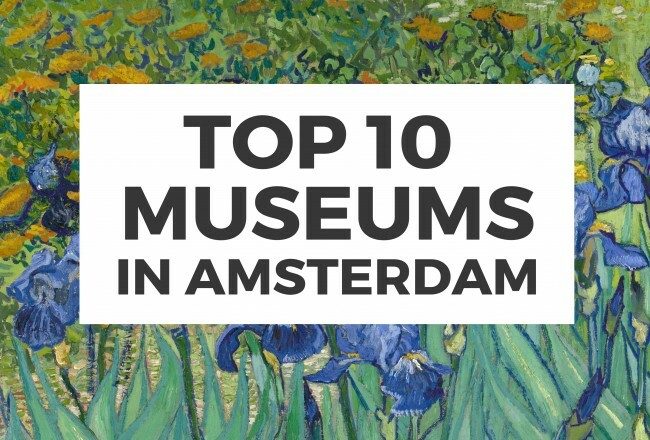 Check out our favorite bars and restaurants just a short walk from Amsterdam Central Station. With clean modern decor and lots of seating, Julia’s is a great place to sip a coffee and wait for your train. 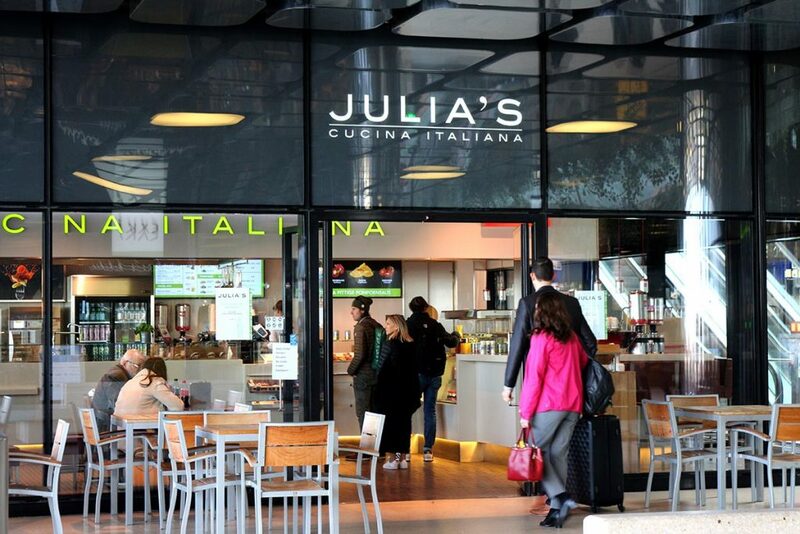 But Julia’s is mainly known for their fresh pasta selections. Choose from a variety of pastas and sauces and they will heat up your choice. It costs about €6 for a pasta that is served in a paper takeout container, and they also have fresh sandwiches and salads. We particularly like the hot chocolate at Julia’s. Like a lollipop, it’s a cube of chocolate on a little stick that you swirl it in hot milk until it dissolves. So fun! Creative sandwiches, warm saucijzenbroodjes, buttery croissants, yummy cookies and tasty coffee can be picked up from De Brooodzaak to eat on the train. We really enjoy the Du Pain Kip Tandoori, a spiced chicken sandwich, and the Boule Aux Noix Geitenkaas, a little roll with goat cheese and arugula. Prices range from €3-4 for a sandwich, and €1.50-2 for a cookie or pastry. Check out their website for more info. Are you a fan of the frappuccino? There are a few Starbucks locations in the station but we recommend stopping in at the one on Platform 2 simply to look at the space. It’s gorgeous! To be honest I wish they would close the Starbucks and open a fancy cocktail bar and restaurant there. But never mind my fantasies, it’s a great place to meet friends at the station, or wait for your train. Yoghurt topped with fruit, nuts and other yummy things is the meal to grab at Yoghurt Barn but they also have toast topped with avocado, smoothies and oatmeal. A great place to stop for a snack or breakfast on the go. There’s a great spot for burgers at the station. 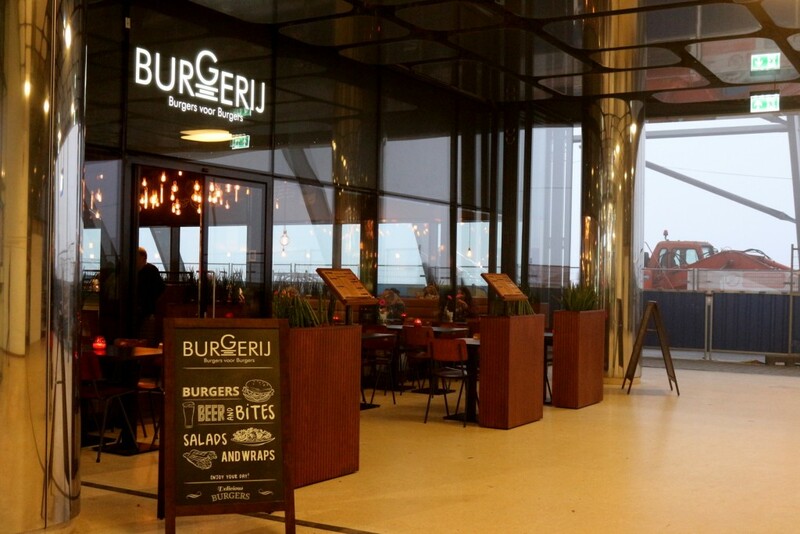 The Belgian chain Burgerij has opened a shop at Amsterdam CS serving hamburgers and salads as well as juices and other quick snacks. Grab your burger to go or take a seat in the spacious cafe and have a meal while you wait for the train. Soup, salads and sandwiches are on offer at Exki, a healthy new option at Amsterdam CS. Their offerings are diverse with many organic ingredients and exotic spices. There are plenty of options for vegetarians too. Curious? You can check out their menu online. In the mood for a big beautiful burrito? 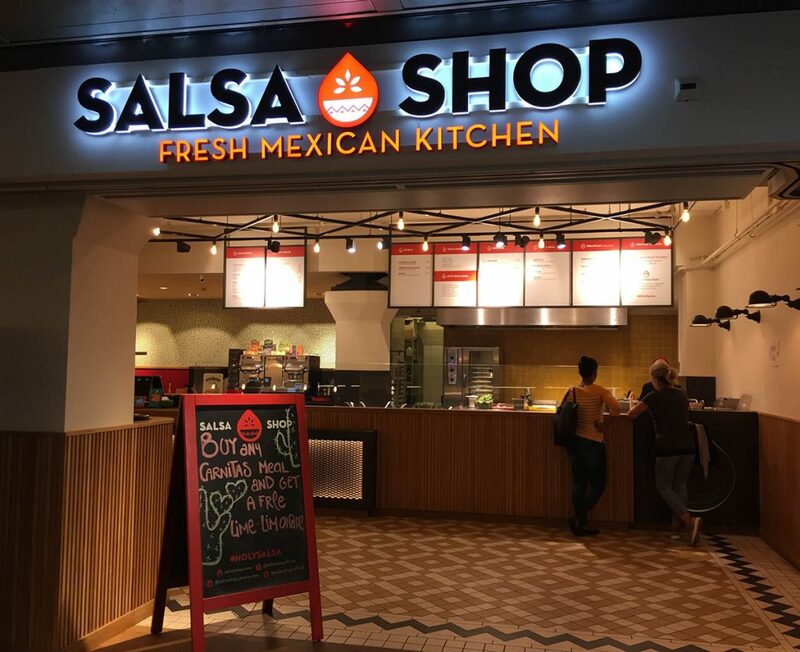 Head to Salsa Shop and get a burrito to eat there or take with you. They also have tacos, burrito bowls, salads, beer and sodas. Wagamama is already known for their fast and friendly Asian restaurants in Amsterdam. Their new location at Central Station is located on the IJ side and has a huge and varied menu with lots of favorites like ramen, curry and donburi. Wagamama is a great spot for a meal between trains or grab something to go to eat at home or on the way. Craving a craft beer before or after your train trip? Stop at Little Delirium outside the station on the IJ side to enjoy one of the 20 beers on tap and 100 in bottle. 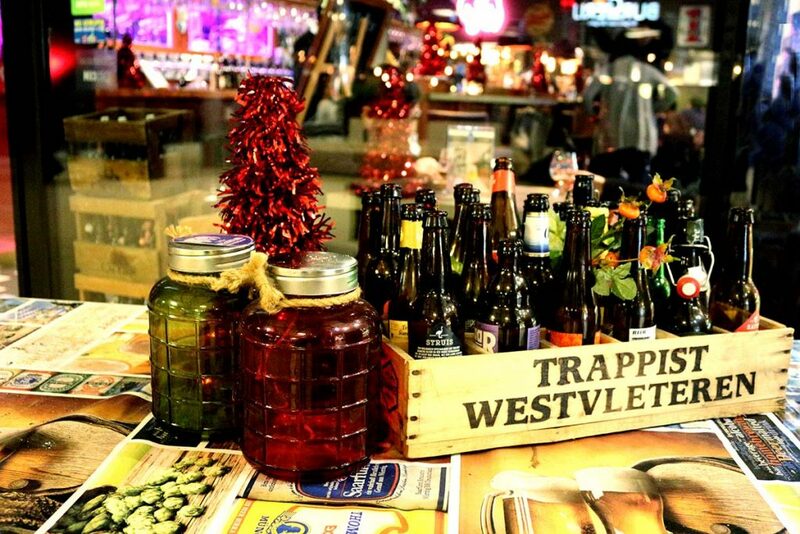 Definitely try one of the local beers like one from Oedipus in Noord or Uiltje in Haarlem. If you’d like to have a sit down meal walk out the city side of the station to Loetje. 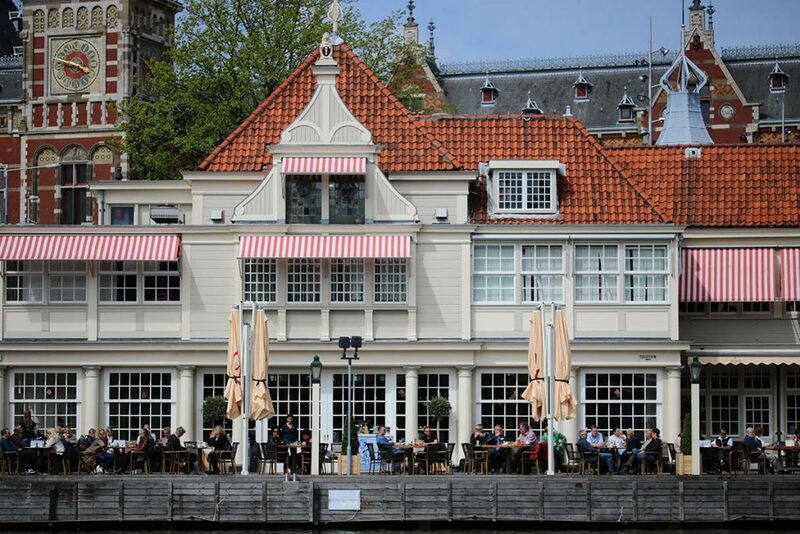 This lovely white building is known as the Noord-Hollands Koffiehuis and was built in 1912. It was demolished to build the Metro station underground but rebuilt. And now it houses Restaurant Loetje, where you can get a steak, burger or sandwich while looking across a canal at the city center. Loetje also has five other locations around town. The Albert Heijn shops located in the station has lots of options that can be grabbed to munch on the train. Sushi, sandwiches, salads, and even meals that can be heated in their magnetron! Of course they have candy, fruits, cookies, nuts, crackers and other snacks as well. We come here regularly for the self-serve coffee; at €1.50 it is probably the least expensive coffee at the station. Drop your coins in the machine and fill up a cup to take with you. The HEMA at Central Station has a snackbar with wraps, sandwiches, juice smoothies and other foods, and the store carries a wide assortment of the Hema-brand candies, cookies and chips. They even have a bakery for a piece of cake or pie to take away! Serving quick smoothies and juices, Shakies has long been a favorite at Amsterdam Centraal. The mango passionfruit is so delicious and gives a terrific boost of energy. Headed to or from the ferry? Check out Mr. Sister on the waterside next to the ferry to Buiksloterweg. 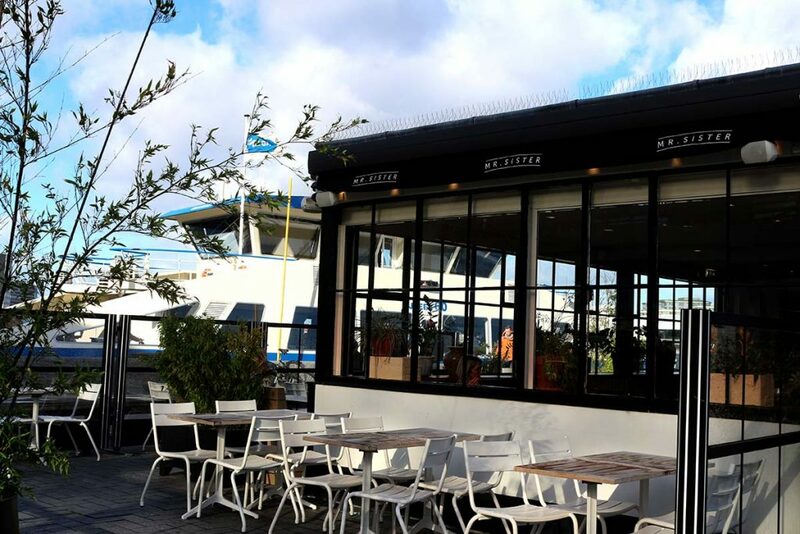 And check out our tips for places to eat on the other side in Noord too. Need to grab a foodie gift on the run? Check Wijnkopers Express, Leonidas, Stroopwafel Heaven or the Chocolate Company. 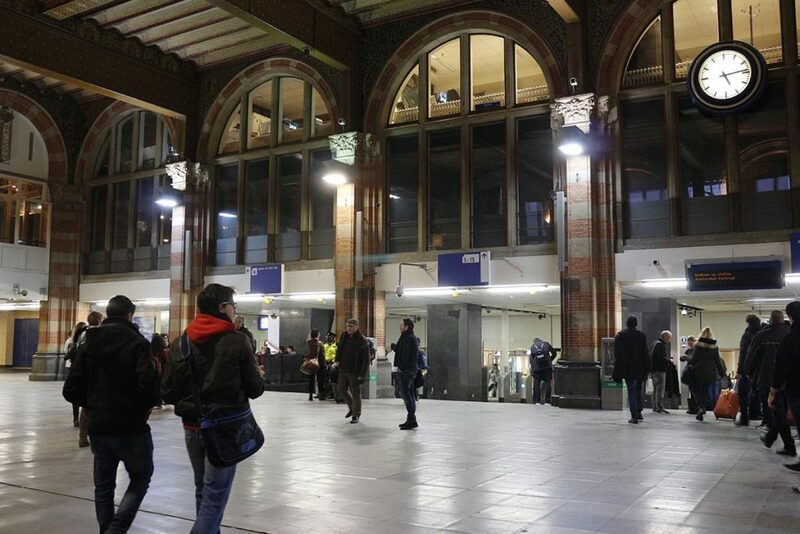 You can also check out mijnstation.nl for information about restaurants and shops in Amsterdam Central Station. 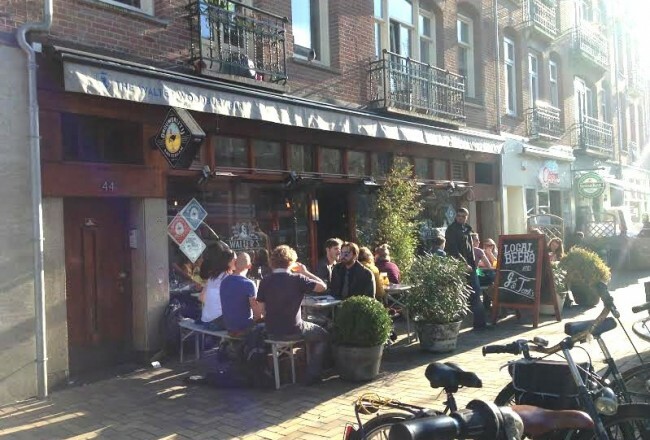 Also think about visiting some of our favorite restaurants near Centraal Station where you can have a nice sit down meal and maybe a few drinks. Planning to explore the city? Check out our guide to using the trams and getting around in Amsterdam and the complete guide to bicycling in Amsterdam.